Apple asks for hi-res music files for iTunes | What Hi-Fi? iTunes 11 has been delayed and now one sound engineer reports Apple asking for hi-res music files – dare we once more put two and two together? 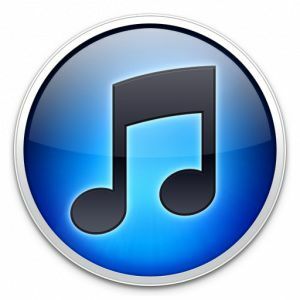 Apple is asking for hi-res music files for its iTunes service, according to one sound engineer, fueling rumours that iTunes hi-res downloads could become a reality. Rumours have long persisted that Apple could add hi-res music downloads to iTunes and the latest nugget of hope comes from legendary sound engineer Tony Faulkner. Faulkner, speaking to Evolver.fm via email, reports being asked for a higher quality file than usual by Apple for iTunes. "My hopes rose when I was asked to remaster some of our past hi-res LSO [London Symphony Orchestra] Live recordings for iTunes," said Faulkner via email. "They were originally recorded at 176k4 and iTunes asked for 96k/24 uncompressed wavs. So far they have only appeared as new 'Mastered for iTunes' lossy 44k1 downsamples." We first reported that Apple were in talks to provide 192/24-bit hi-res files on iTunes all the way back in February 2011. Jimmy Iovine, chairman of Interscope-Geffen-A&M, told CNN at the time that, "[Universal] were working with [Apple] and other digital services – download services – to change to 24-bit. And some of their electronic devices are going to be changed as well. So we have a long road ahead of us." Clearly that hasn't happened... yet. Neil Young noted that Apple had back-tracked on this apparent commitment to iTunes hi-res a year later, in February 2012, and has since launched his own hi-res music service and range of portables, called Pono. Despite good intentions, Linn Products' managing director Gilad Tiefenbrun dismissed the Pono project as "misguided" and doomed to "ridicule and failure". Regardless, there's clearly some reason that iTunes 11 has been delayed... could it be?